You’ll find us just outside of Charlotte, in the charming community of Indian Land, South Carolina. It’s where we (Marie Chamberlain & Leslie Harris, co-owners of The Southern Nest) call home! We believe our lives should be filled with things we love. That gifts should be thoughtful and unique, clothing should beautiful and wearable, and our homes should be comfortable and inviting. We believe in well made products from brands with integrity, supporting brands with purpose, and partnering with local companies and artisans to create a destination for our customers that enhances their lives. All that said, we hope you’ll find your way to The Southern Nest. And come back often! 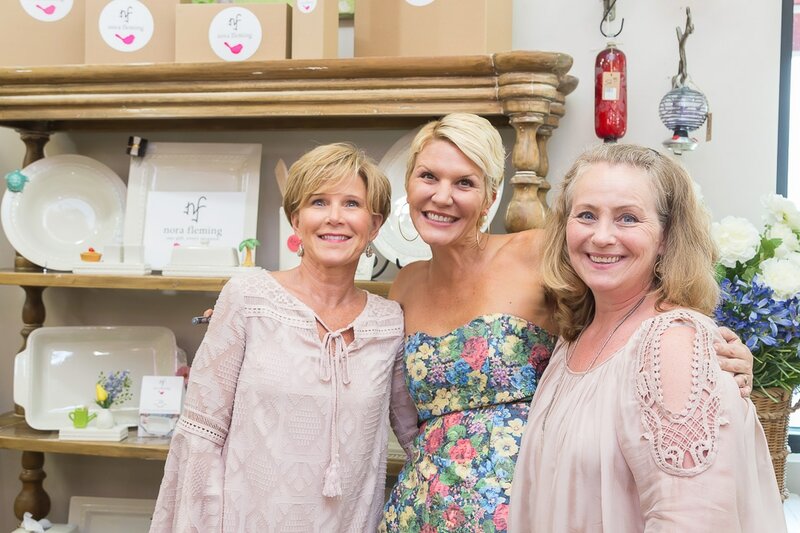 Shop owners Leslie Harris (left) and Marie Chamberlain (right) welcome one of their favorite vendors, Nora Fleming, to The Southern Nest.